THE need to maintain integrity by journalists and media practitioners in the country is the way forward for the Nigerian media to effectively carry out its obligations of holding the government accountable to the citizens. This was the thrust of a one-day programme organised by the Civil Society Legislative Advocacy Center (CISLAC), in collaboration with Transparency International (TI), for journalists in Abuja on Thursday. 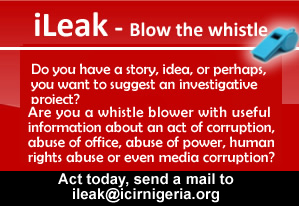 The programme centered on how to monitor and report corruption and money laundering issues in Nigeria. It was aimed at increasing public and political awareness about anti-money laundering mechanisms to effectively prevent, report and punish the laundering of corrupt proceeds in the country. With the theme, “Enhancing investigative and reporting skills of journalists in combating Money laundering/Corruption in Nigeria”, the event had over 30 Nigerian journalists in attendance, selected from across the country. Participants at the event were unanimous that the welfare of journalists should be prioritized in order to get rid of some unprofessional conducts that have come to characterise the practice of journalism in Nigeria, the most notorious being the ‘brown envelope’ syndrome. In a presentation titled ‘Money laundering and illicit financial flows in Nigeria’, Gloria Okwu, CISLAC’s Programme Officer, emphasised the need for journalists to familiarize themselves with the anti-corruption laws in the country to effectively combat corruption. Also speaking at the event, the CEO of Center for Financial Journalism, Ray Echebiri, said the poor remuneration of journalists can, in most cases, be traced to poor revenue generation by several Nigerian media houses. He said there is a need for media organisations to seek innovative ways of diversifying their resources in order to increase revenue generation, which will translate into better welfare for workers. “The Nigerian media finds it difficult to support the welfare of journalists because it depends on advertorials for revenue generation but to thrive they have to diversify,” Echebiri said. He also urged the journalists to employ the use of open and legitimate practices to obtain information without infringing the rights of the subject involved in their investigation. During the event, a panel was set up to further to deepen discussion on the responsibility of journalists in investigating corruption. The panelists included Diego Odey, Niyi Solewe of BudgIT, Amos Abba of The ICIR, and Martin Ayibakuro of the African Network for Environment and Economic Justice. The interactive session centered on the ethical responsibility of journalists in maintaining transparency in the Nigerian media space. Also, Ronald Mutum, a reporter with Daily Trust and recipient of the Transparency International’s one-month fellowship to London to enhance his knowledge on defense budgeting and procurement, spoke of his experiences in London and provided tips on how to obtain information from law enforcement agents. The National President of the Nigerian Union of Journalists (NUJ), Chris Isiuguzo and Jessica Ebrard from Transparency International Secretariat in Berlin, both of whom spoke via video call, commended the initiative.